I never knew I liked Thai food until I started working at the library. Then my boss Diane took me to Bangkok Thai, and I ordered the No. 20. Now our whole Communications Department goes, oh, every other week, to discuss business matters and eat great food. She prefers to cut it with a knife. I stick with my big bowl of soup, always, because I covet it so. Sometimes Edina and I call in and bring our orders back to the office for a Friday lunch special. Then I have to borrow Jess’ large bowl to pour in their two containers of ingredients, solids and broth. The noodles are sublime, the veggies crunch, the liquid scintillates. The heat does vary from order to order, though, despite my sticking with medium after one time trying hot and deciding that was too fiery for my taste. But the owner is selling Bangkok Thailand. 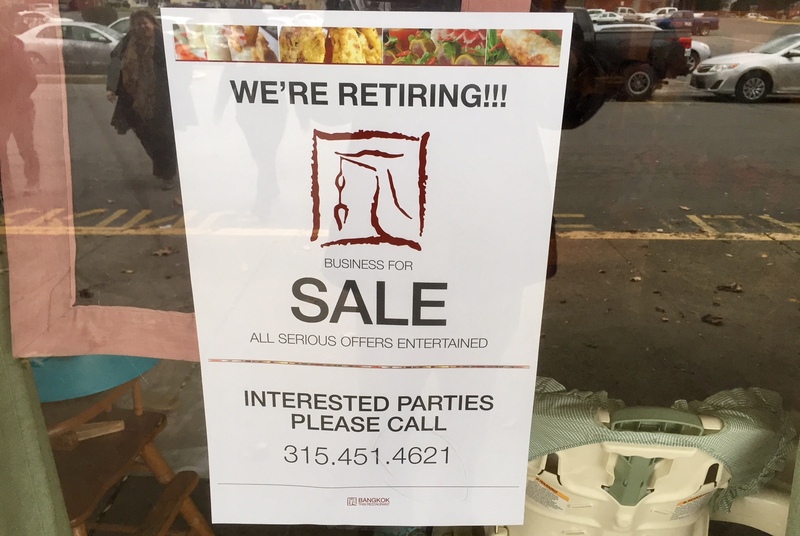 Wouldn’t you like to run a successful Thai restaurant on Route 57 in Liverpool, N.Y., in the same strip mall as Herb Philipson’s? Elvis would have eaten here. So I forever remember No. 20. The menu is planned out. I’m not ready to lose it from my life. 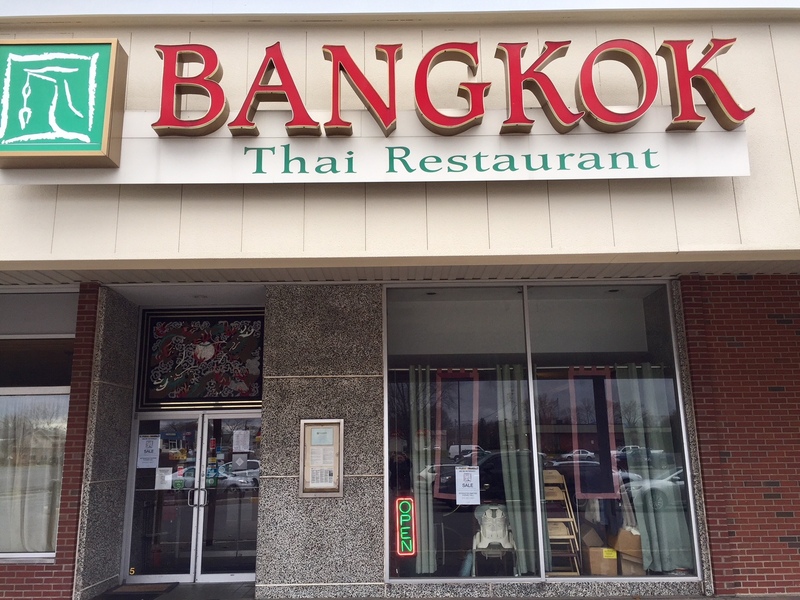 I discovered Thai cuisine here in PA and fell in love with the curries. Hope someone takes it over for you, Mark. Thanks, Van. I need the diverse flavors, for sure. Oh no! I enjoy Thai! Oh you better stock up on your favorite and freeze it! I feel your pain, Mark! There is a Thai restaurant I love run by a tiny woman who is an entrepreneur’s entrepreneur:). I not only love her homemade food, but I love her spirit! Wishing you the right buyer . . . I hope your owner keeps the place going for years. Thanks, Kay! I hope you don’t lose it! It would throw off my rhythm, MBC. Well shoot, I do hope a right buyer comes along to save your weekly soup regimen! The clock is ticking, Kathryn Grace. Boo-hoo.